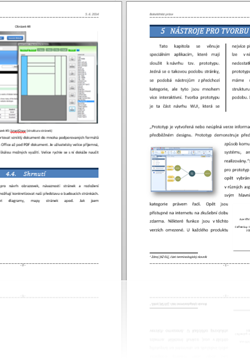 Microsoft Word offers the creation and management of text documents, but in addition can insert text and graphic objects such as tables, charts, diagrams or pictures. Using sections can divide your document into parts, which can have different numbering, page size and orientation. For longer texts, it works effectively with styles and through them easily creates content or multilevel numbering. When making disertation, it widely uses Word attachments lists, indexes, quotations and bibliography. In one document can operate more users whose revisions are recorded by the tool of track changes and comparison of documents. Many tips and tricks, which I met in practice, giving to readers free of charge in my useful videos. See with your own eyes how to deal with situations that are perhaps your daily basis. To view a list of all video tutorials just go to the video category. If you find that you are missing some knowledge, there is no easier way than to be trained. If you choose the path of “self-learning”, some procedures you will learn can take more time or perhaps not quite correct. You can always use the articles on this site for inspiration or consult the ITLektor. (Čeština) Online kurz Word pro pokročilé Sorry, this entry is only available in Czech. (Čeština) Online kurz Word Hromadná korespondence Sorry, this entry is only available in Czech. (Čeština) Online kurz Word pro středně pokročilé Sorry, this entry is only available in Czech. (Čeština) Online kurz Word – Využití stylů Sorry, this entry is only available in Czech. (Čeština) Online kurz Word pro začátečníky Sorry, this entry is only available in Czech.